Global Andaman Tour & Travels is a name that is counted amongst the distinguished travel agencies that are offering dependable car & coach rental services across Port Blair (Andaman and Nicobar Island, India). We offer stylish and comfortable cars at affordable rents. You can hire any type of car from our fleet of cars that include compact cars, convertible cars, economy cars, MUVs, and SUVs. 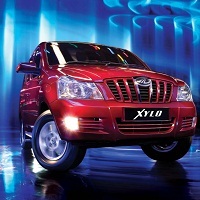 In addition to this, we can provide Xylo, Tavera, Dezire, and Ertiga on rent at special request. We mainly operate in Port Blair.